Good news for nearly 10,000 cane farmers as Prime Minister Voreqe Bainimarama has announced the final special cane payment of $4 million to assist the farmers as part of the TC Winston Relief Payment as allocated in the 2017‑2018 National Budget. After re-assessment of the payout formula determined that roughly 15% of growers have already benefitted from the full maximum payment, thousands more growers will be receiving either full or partial payments to finalise Government's payout process. 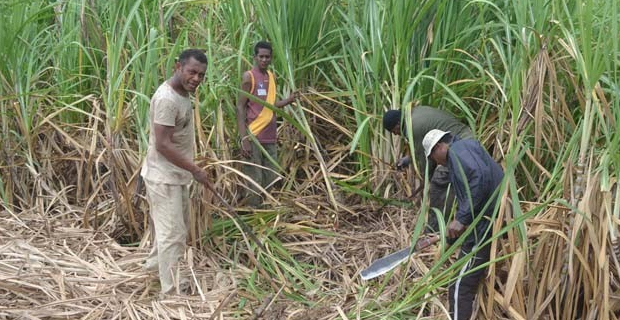 In this special payment, all sugarcane farmers in Fiji should have received equitable and direct financial assistance to go towards the repayment of loans and other costs associated with cane growing. Bainimarama says this special cane payment to farmers everywhere in Fiji will go a long way in lowering the cost burdens on them, and it is further proof of government’s commitment to reducing the cost base for the cane growers. The Prime Minister says the sugar industry has a come a long way since the severe devastation of Tropical Cyclone Winston. He says this turnaround is not only through government's continuous relief assistance, but also through government’s new and innovative ways to support and advance the industry.